said Haroon Rashid, Chief Executive and Managing Director of Shell Pakistan. The global Shell team facilitated individuals from businesses, sharing knowledge around technological innovations addressing organizational needs and operational challenges that will help them grow their business. 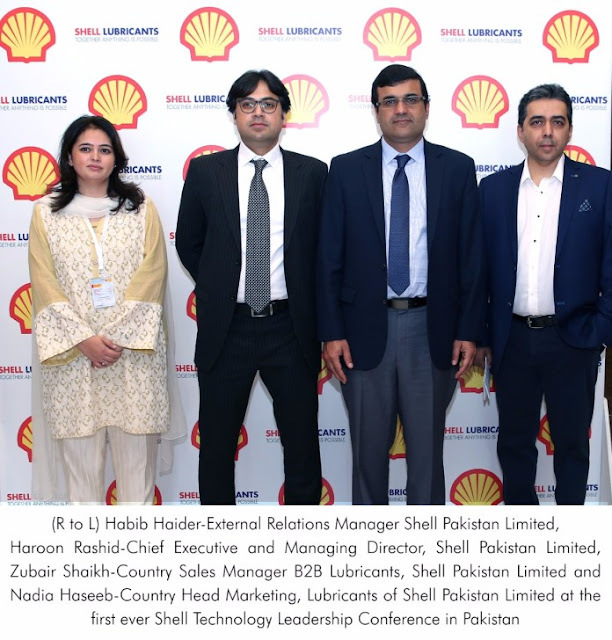 Shell also unveiled their B2B Lubricants Masterbrand, “Shell Lubricants” at the conference, building on Shell’s belief that ‘Together Anything is Possible’. This is a differentiated lubricants’ offering combining Shell’s people and technical expertise, industry knowledge and the strength to build sustainable relationships with customers.